Hey folks! 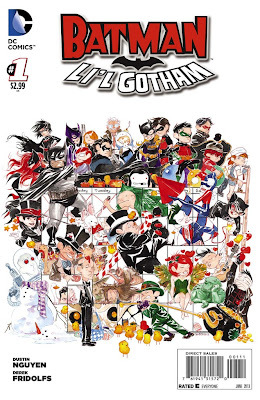 Just wanted to plug the first in-print release of the hit digital comic L'il Gotham! 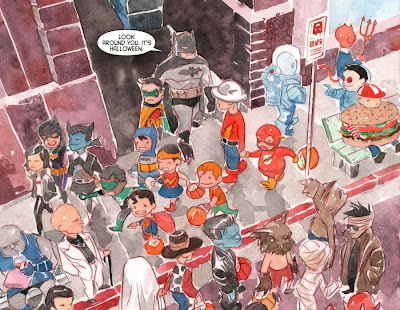 If you're a little tired of the ultra-violent, peel-off-your-face, little kids dying horribly, corpses sewn together dark dark world of the New 52 Batman and are pining for a simpler age, OR if you just want to read a universe where Damian "Robin" Wayne is still alive and well, this MAY be the comic for you! Granted, the plots are very kid-friendly, but it's beautifully drawn and I'm a sucker for water-colour. Curious? Join me after the jump for a peek inside! 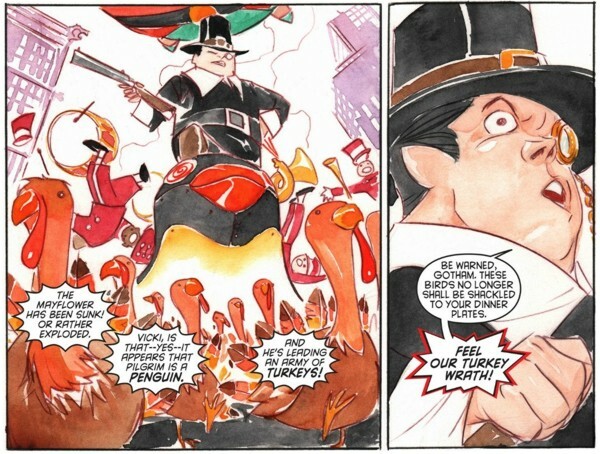 The second story tackles the very next holiday...Thanksgiving! This chapter sees the Penguin leading a Turkey Revolt through the streets of Gotham! What can I say? 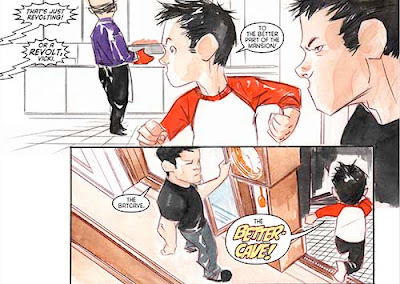 I love me some light-hearted Batman and Robin! Man, I miss Damian in the New 52...c'mon Lazarus Pit!!! 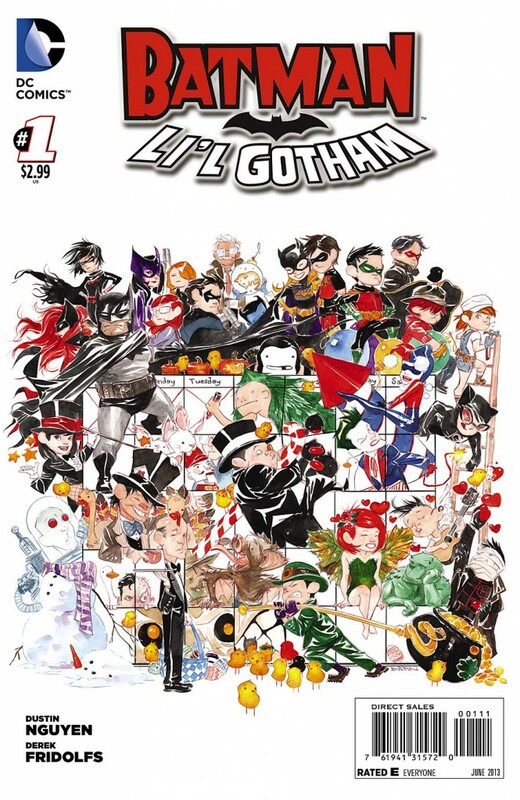 Ahem..I digress...L'il Gotham...in print for the first time and in stores TODAY! Or get it digitally...it's been out for a while so you can get several issues already. Stupid kid stuff or awesome all-ages art? You be the judge! Let me know what you think!